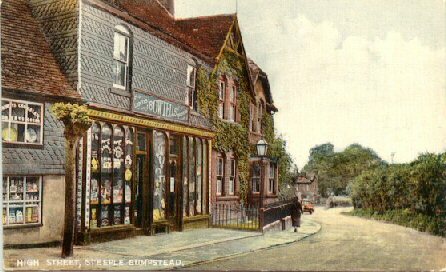 BUMSTEAD Family History Pages -- home to the Bumstead, Bumpstead, Bumsted, Bumstede, Bomstead, Baumstead, Bomsted, and other variant spellings of the family name. Dedicated to preserving the memory and history of our ancestors. Steeple Bumpstead is mentioned in the Domesday Book, commissioned in 1095 by William the Conqueror. 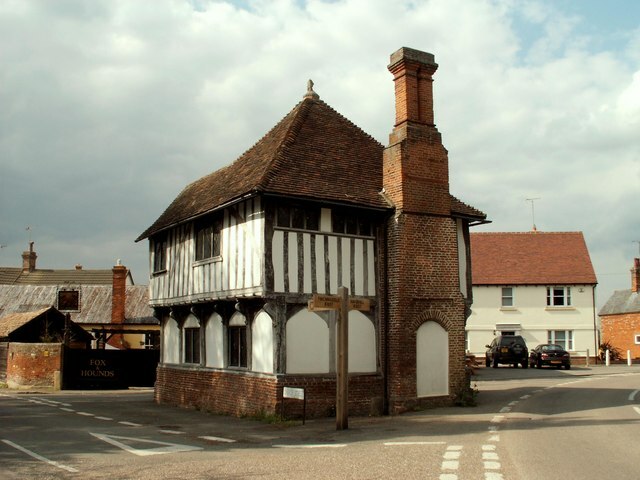 It is a village in the district of Braintree, Essex, United Kingdom, 3 miles south of Haverhill. The Shopping Basket - Bowtells - (then High Street) Chapel Street circa 1930. Please tell us about any websites featuring our family. CAUTION: These are FAMILY HISTORY and RESEARCH sites. The information they offer is presented in good faith, but do not accept it as fact unless it is supported by sound evidence (look for references to sources noted in the data). As with most research, at times some of the data can be incorrect, misleading and/or incomplete and even some of what is "certain" may later be shown to be in error as more evidence surfaces. Remember, there is no absolute certainty of anyone's lineage because of mistakes, falsehoods, undocumented adoptions, etc. Mistakes were and are made in hospitals, clerks and priests have inadvertently made errors recording information, children have been adopted and no records were kept, with the children never knowing they were adopted, secret affairs resulted in children with a different father than the one recorded, men accepted the children of women as their own without ever telling anyone, etc. Not even DNA testing is 100% certain. Family history lets us remember and honor our ancestors and it gives us a sense of our heritage and the struggles our forebears endured to make us what we are today. Use the information carefully, check the sources and verify -- and enjoy your family history adventure! Descendants of Mourad Bumstead and Jane Cravey -- i.e. descendants of Republic of Texas residents (1836-1845) -- qualify for membership in "Sons of the Republic of Texas," "Daughters of the Republic of Texas," "Children of the Republic of Texas" and "Descendants of the Siege of Bexar". Contact DRT Headquarters, 510 E. Anderson Lane, Austin TX 78752-1237. The Texas State Genealogical Society sponsors the "Texas First Families". To qualify, applicants must prove direct or collateral descent from an ancestor who settled in Texas before February 19, 1846.